End of Support for SCCM 2007 & FEP 2010 - What does it Mean ?. Microsoft will end the support for SCCM 2007 and Forefront Endpoint Protection on July 9, 2019. After this date, there will be no new security updates, non-security updates, assisted support options or online technical content updates. To all the Configuration Manager admins, its important to know that what you must do next ?. In addition to Configuration Manager 2007, Microsoft plans to discontinue definition, engine, and platform updates for FEP 2010 once the end of support is reached. Here is a blog post by Microsoft on this news. Every Microsoft product has got it’s life cycle, during which the product is actively developed and supported. The below screenshot shows the Configuration Manager timeline. SCCM 2007, first introduced in year 2007 is reaching the end of support. 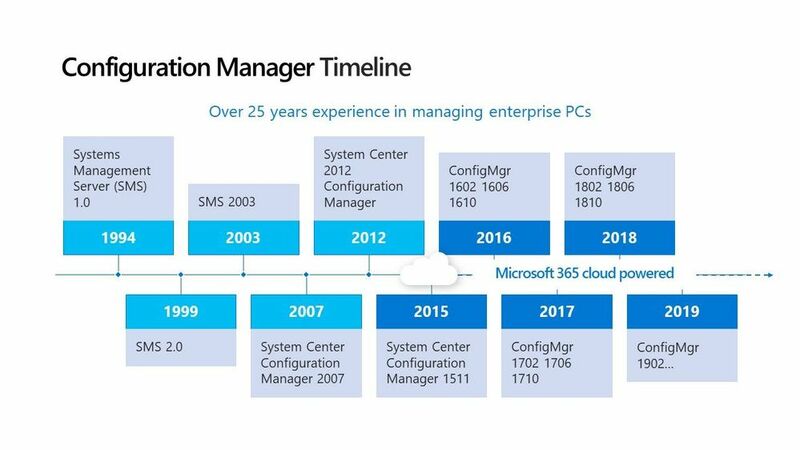 Microsoft had announced the end of support date (Mainstream) for SCCM 2007 R3 as 8 July 2014. If your organization is still running SCCM 2007, then this post is pretty much for you. If your organization is on current branch already, you need not bother about the SCCM 2007 end of support. So let’s say your organization has SCCM 2007 running. When you read “end of support”, it doesn’t mean that your SCCM 2007 stops working when it reaches that date. However you need to know what exactly happens after the product reaches it’s end of support. As per Microsoft, although SCCM 2007 will continue to function after July 2019. The below conditions will apply to the software. No Microsoft support will be available – This means you cannot contact the MS support in-case you encounter any issues with the product. No security updates or fixes will be available – There shall be no more updates and fixes to the product. If there are any issues, you might need to deal them on your own. Should I Migrate SCCM 2007 to Current Branch ? If you have same question about migrating the SCCM 2007 to current branch, you are right !. Most people temporarily plan to upgrade from SCCM 2007 to 2012 R2. While that is not an intelligent option, you should plan to migrate to current branch instead. Most of all there is no in-place upgrade from Configuration Manager 2007 to Configuration Manager (current branch). Refer this article for migrating to current branch. You should also note that Windows 7 and Office 2010 both reach the end of their support lifecycle in 2020. Hence I strongly suggest to migrate the current product (2007/2012 R2) to current branch. This is because with current branch, it becomes very easy to deploy and manage Windows 10. With SCCM current branch and Windows 10, you can perform Windows in-place upgrades easily. Yes, along with SCCM 2007, Microsoft will end the support for FEP 2010. If you remember, Forefront Endpoint Protection 2010 was integrated with Configuration Manager 2007 when it was released. Once the end of support is reached, you won’t get the definition, engine, and platform updates for FEP 2010. If you are dealing with FEP 2010, the best option is to migrate to the current version of System Center Endpoint Protection (SCEP) or Windows Defender.